Welcome to Cloud Village, home of unique handmade gifts. We offer wine charms and other customized products such as placecard holders and small statues, crafted especially for you. 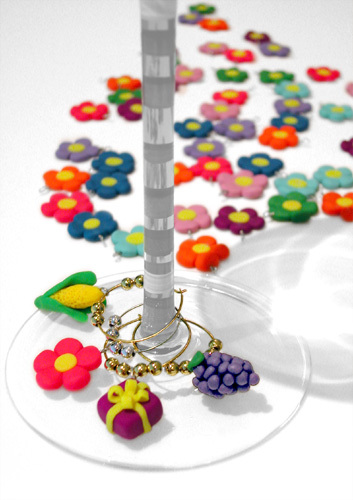 Choose one of our standard sets of six handmade wine charms, or use your imagination to design a custom set for any occasion. Charms may also be ordered separately for use on necklaces or cellphone charms. Our charms make perfect gifts for friends and family - or treat yourself!